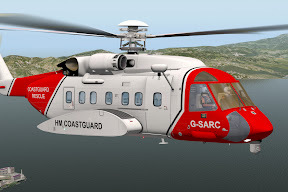 DMO Flight Design has released their entry product into the payware market: the Sikorsky S-92. The aircraft includes five variants, a detailed 3D interior and exterior, as well as many liveries and mimicked systems. You can find more about this product, including screenshots at the X-Plane.org store. 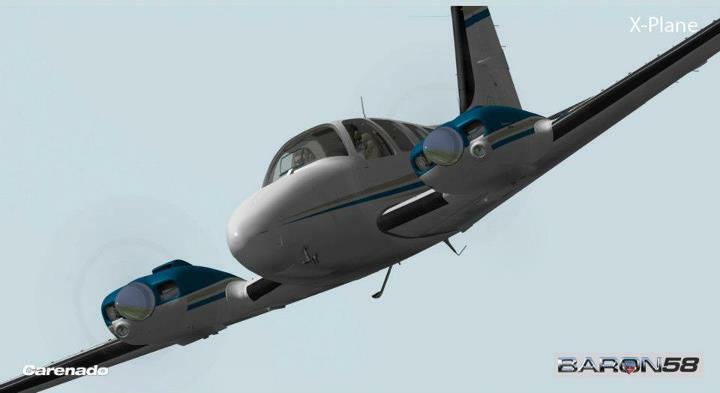 Carenado has announced their next upcoming product will be the B58 Baron. Without anything more than "Coming Soon" and a few screenshots, this is all they had to say for the time being. Screenshots are available in their facebook gallery. Leading Edge Simulations Saab 340A Update! Leading Edge Simulations, creators of the award winning Douglas DC-3 for X-Plane 9 and 10, has posted new shots of their upcoming Saab 340A product. It has been some time since updates were provided for the Saab 340A product, and this update is a welcome addition with many enhancements compared to when we last saw images of this aircraft! To read the news and view images, check out this post in the forums. X-Pilot Launches Download File Library! X-Pilot is pleased to announce the opening of our Download File Library! After many requests from our community members over time we have implemented a free download section to this website for everyone to upload and share their creations, and for our users to download and enjoy them! More information on this announcement can be found here. Global scenery terrain regions tuned. Added "TEXTURE_CONTROL_NOWRAP" to correspond to TEXTURE_CONTROL. This is needed to make orthophoto pol files with decals. 10.10 beta 6 attempted to mark older cockpit objects as 'glass'. This seemed like a clever way to make HDR work but actually breaks more aircraft than it helps. This change has been removed for beta 7. As a result, the CRJ and other aircraft that use the panel texture as a window will not show clouds correctly in HDR mode. These aircraft will need an update to work with HDR enabled, but will work correctly with HDR disabled. X-Plane cannot guess-and-auto-update these aircraft for HDR. The cockpit now contains most of the same options in Plane-Maker as the attached objects. Invalid use of ATTR_cockpit is now detected and logged. Fixed crash on Windows with facades with empty meshes. This fixes the crash using the "Classic 3" airport facade. Landing lights accurately reflect their load on electrical busses now. G430,G1000 and Avidyne instruments now work with panel regions. Fixed some cases where water fog looks funny - there are still some bugs with water and fog. Fixed black line when shadows on "Melt your GPU" with NV cards. Fixed missing cockpit objects in Chinook and other older-style planes. Fixed missing transponder on P32R and other panels that mix translucency and panels. Fixed intermittent drawing of airports in sectional map. Fixed plugin glue code: XPLMNavAid can find stand-alone DMEs. Fixed incorrect culling of trees when forest exclusion zones go outside a DSF boundary. Moved power tower wires to a later drawing group to avoid artifacts. Fixed world being very dark for the first few frames in HDR mode. Real-weather should grab dew-point to display in ATIS reports, which is kind of nice. 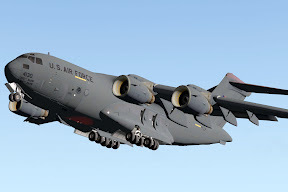 Virtavia, mostly know for their work in the Microsoft Flight Sim world, has released their C-17 Globemaster for X-Plane! The aircraft comes with versions suited for X-Plane 9 and 10, and will mark Virtavia's first product for X-Plane. High resolution glass EFIS panels, with double FSX resolution, 6 screens to choose from. High quality animated, folding HUD with 3 de-clutter modes. Functional FMS computer - Plugin enhanced systems for greater system functionality. More information and features may be found at the X-Plane.org Store. 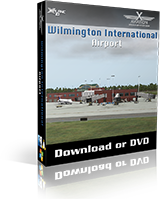 X-Aviation and Drawbridge Designs are pleased to announce the release of Wilmington International Airport! Utilizing all-new shader technology, combined with accurately placed orthophotos, trees, light poles, powerlines, and ultra realistic looking 3D airport buildings, Wilmington International Airport is the start of a new wave of products that will blow you away! The attention to detail is incredible, and the experience within X-Plane has never been better. No matter if your X-Plane adventures have you be a general aviation flyer, a regional jet pilot, or a heavy airliner captain, Wilmington International Airport is for you! And, if you like to simulate realism you can take that awesome CRJ-200, ERJ series aircraft, Dash 8, Airbus A320, Douglas DC-9, or your MD-80 series aircraft to or from places where Wilmington has commercial air service, like Delta Air Lines and Delta Connection to New York and Atlanta, US Airways Express to Philadelphia and Washington D.C., American Eagle to Chicago O'Hare, US Airways and US Airways Express to Charlotte, and Allegiant Air to Orlando/Sanford International Airports. 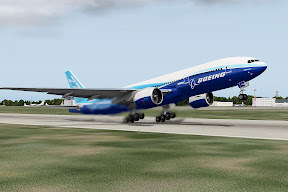 More information as well as a detailed set of screenshots are provided on the product page at X-Aviation.com. Ramzzess Aviation Design, the developer responsible for add-ons like the SSJ-100 and other Russian aircraft, has announced a joint project with Philipp Avionics. Philipp Avionics is run by Philipp Muenzel, the creator of the systems for the Take Command! CRJ-200. The Boeing 777-200LR will be a "Licensed by Boeing" product, featuring custom systems and avionics, including a custom FMC. 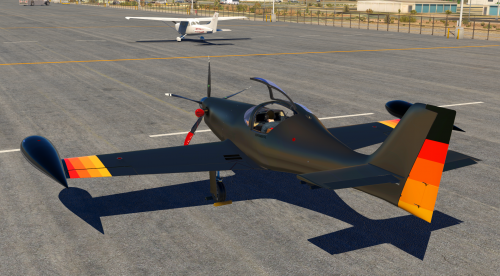 More information about this upcoming product may be found in the official forum announcement thread located at X-Plane.org. X-Aviation Announces New Scenery Product! X-Aviation is pleased to announce an upcoming scenery release for Wilmington, NC International Airport developed by a newly formed and very talented design company by the name of Drawbridge Designs! Drawbridge Designs specializes in scenery design for X-Plane 10, bringing along many years of X-Plane knowledge and 3D modeling experience. Utilizing the latest in technology, Drawbridge excels in producing the best scenery for X-Plane without any doubt! 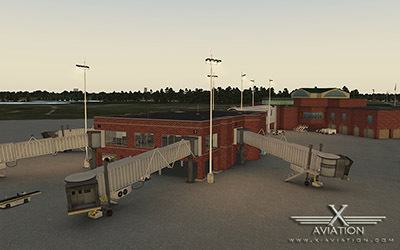 An official announcement for Drawbridge Designs' Wilmington International Airport, as well as preview shots from within X-Plane may be seen by clicking here. Joysticks no longer have a negative impact on frame rate. Roads no longer shoot up into the sky at DSF tile ends. Fixed crash with v9 DSFs with powerlines. Hedges and bushes in autogen no longer stick into the street. 4x SSAA HDR mode fixed to not draw into 1/4 of the screen. Fixed blue and red artifacts in HDR mode on Windows machines. Fixed white box around bomb craters in HDR mode. Fixed blue flicker when QuickFlight carousel spins. Fixed night water reflections in non-HDR mode. Fixed brightness of lights reflected in water. Improved UI tile scrolling in quick-flight dialog. 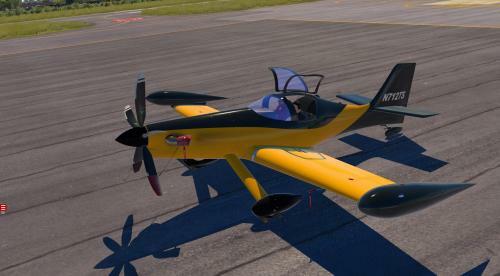 You may access this update by running the updater downloadable from X-Plane.com. 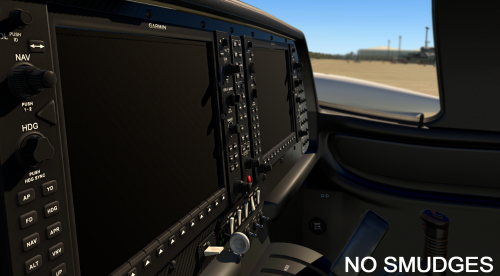 X-Aviation is pleased to announce a price reduction in X-Plane 10. Instead of $79.99, X-Plane 10 is now priced at $69.99. Coupled together with X-Aviation's worldwide $5 flat rate shipping, this makes it the most economical solution for anyone interested in purchasing X-Plane 10! More information and features for this great new version of X-Plane, as well as the price reduction may be seen on the X-Plane 10 product page.